It’s almost December and you know what that means. 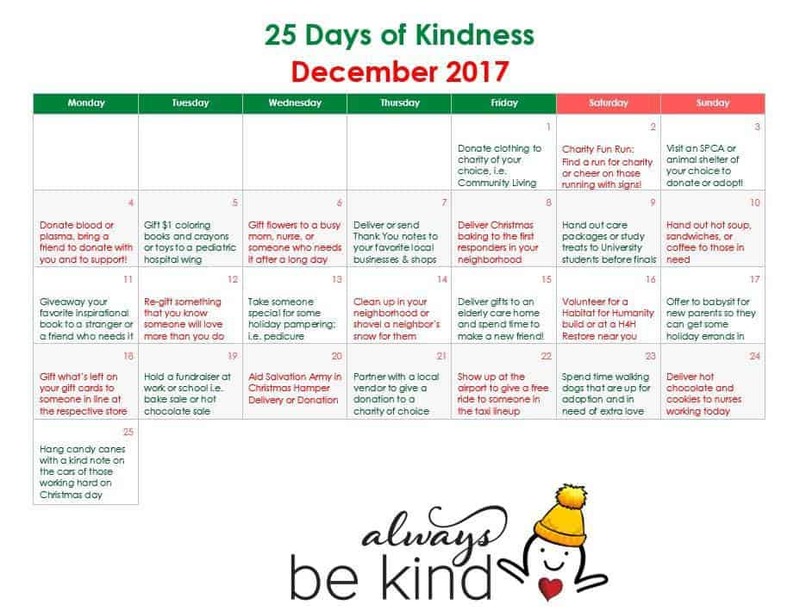 Time for 25 Days of Kindness! Whether it’s volunteering for an organization, making a donation of your time or resources, or a random act of kindness, I encourage you to practice kindness every day, and taking part in my 25 Days of Kindness is a great way to make it a habit. Print it off, share it with your friends, and use it like an advent calendar to be inspired throughout the month!